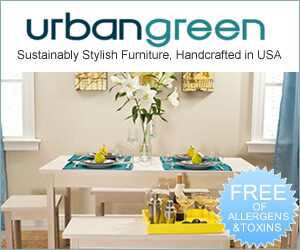 It is nice to hear that getting green energy is getting more efficient and sustainable these days. 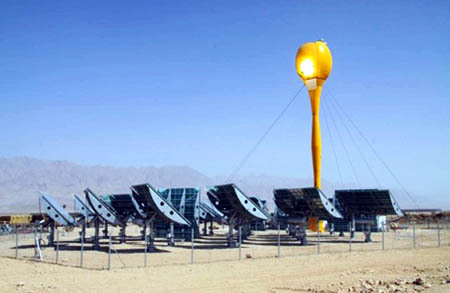 The Aora Solar that is erected in a 0.5acres field in Israel is the amazing proof. 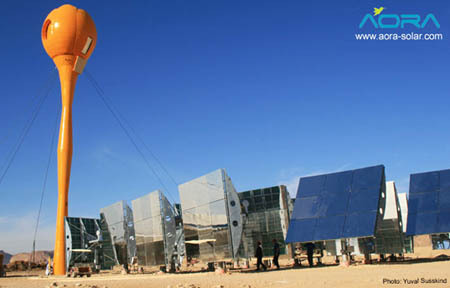 The Aora Solar is a hybrid solar power plant that has the ability to generate 100 kilowatts of electric power in addition to the 170 kilowatts of thermal power, making it the world’s first hybrid solar power plant. This one of a kind creation consists of 30 heliostats or mirrors that will do the tracking of the sun and direct the rays up to the 30-meter tall tulip flower like tower, and will soon be up and running on the 24th of June.